What I love about Hong Kong is that while I am living and working in the city center full of high rises and sky scrapers, it is not hard to find an alley shop in some small dingy corner or side streets that can help you duplicate a set of missing keys, fill your stomach with a quick street snack, or quickly purchase a newspaper/magazine before hopping onto the approaching bus. 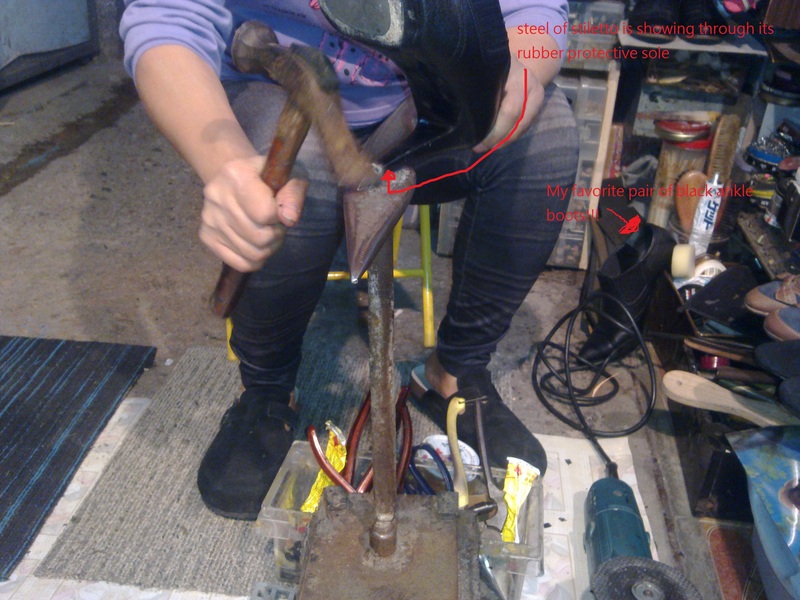 As I was walking along today, I noticed my left ankle boot was making a very loud click clak noise , and I realized the steel metal of the stiletto has seeped through and is in need of a new layer of rubber to cover the metal heel to make walking noiseless. 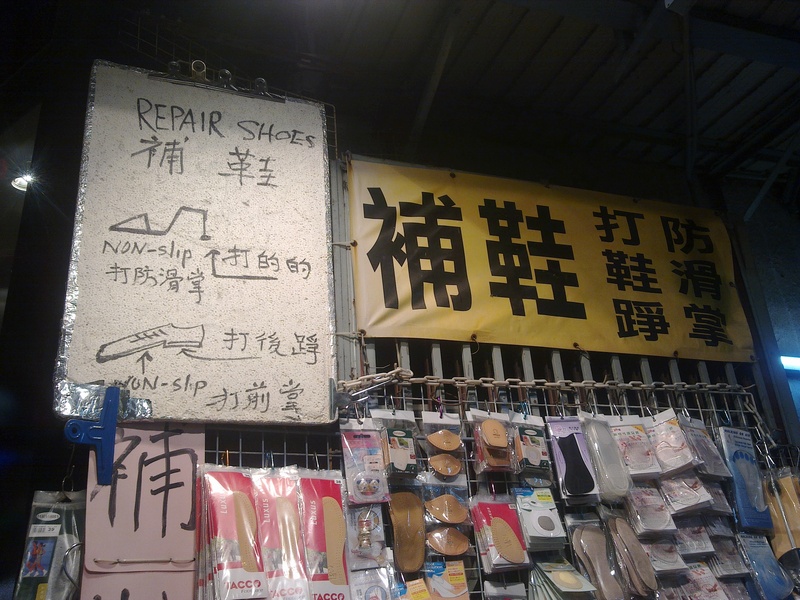 In my situation, I am very happy to know there is a trusty shoe repair alley shop I passed by everyday to catch the minibus home from the office. As I sat on a little stool waiting for my boot to be fixed, I realized how the husband and wife has decorated this little side street with a mat for customers to put their feet on while waiting for their shoes to be fixed. 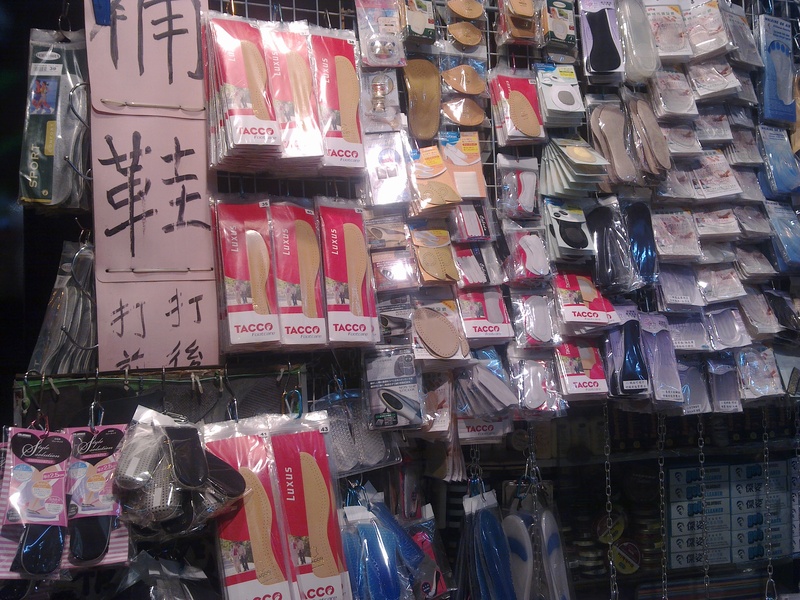 A set of hangers was created and hung to the wall of the shop next door and is used to sell shoe polish, soles, and other goods that make walking easier for the ladies. A small metal suitcase of tools and a metal shoe stand is all this couple needed to ply off their profession everyday. 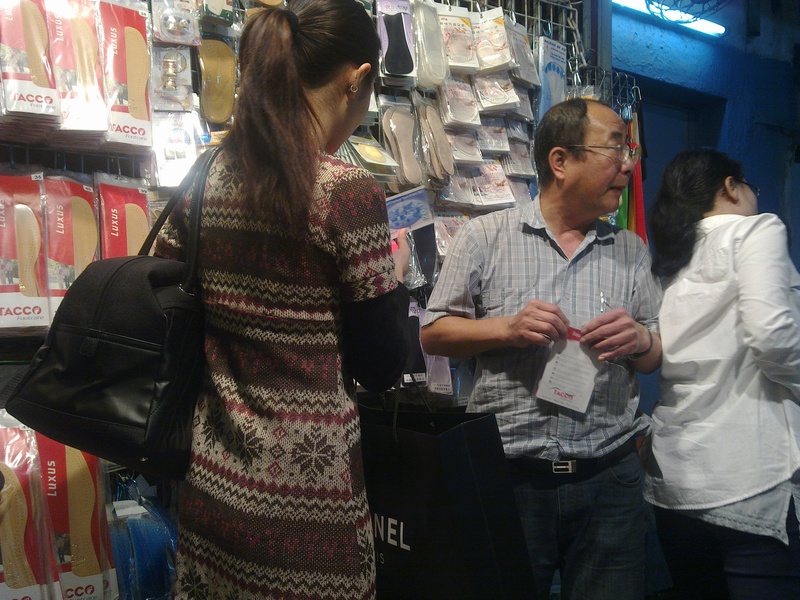 I think this is a very smart couple because while they have set up shop in a small alleyway less than 50 square feet, this alleyway is surrounded by office towers, so imagine how many pair of tired feet or broken heels this little shop rescue everyday!